Reverse-engineered from the original machine, our BD909 is an identical recreation of the original all-analog drum circuit of the TR-909. 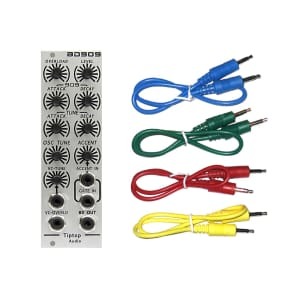 We’ve added additional controls and synthesis features that turn this classic circuit into a chest-pounding analog bass drum laboratory – all tightly packed into an 8HP module. 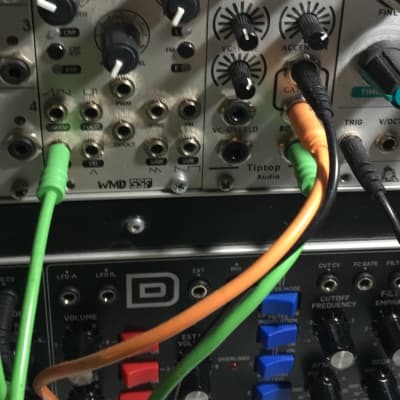 The BD909 sound differs from our BD808 in that the main sonic energy is centered in the mid to low frequency range (as opposed to the low frequency range of the BD808). 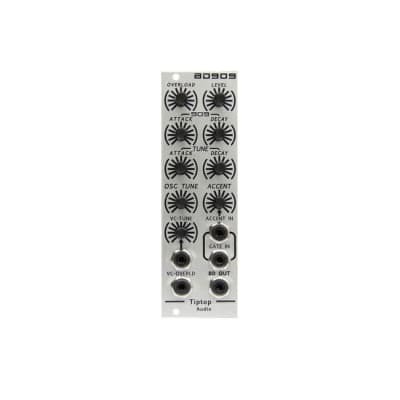 This frequency range gives the needed headroom allowing your bass lines to deeply fill up the low end while the kick drum rides on top – creating a clear and punchy mix. 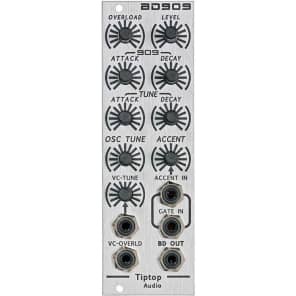 The BD909 includes all the controls found in the original: Attack, Decay, Tune Decay, Accent, and Level. We have gone beyond that and added controls that further increase the palette of sound this circuit is capable of. 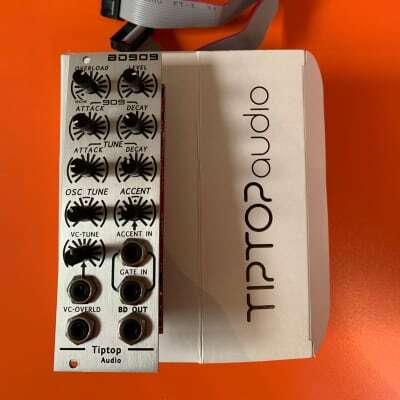 First off, we’ve added a tuning control knob for the oscillator and included its own CV input and attenuator that let you tune the 909 kick with your bass lines. Next, we added control knobs for the tuning attack and extending tuning decay. Each one affects the other, allowing for intuitive and interactive sound shaping, opening Z8000 up numerous “sweet spots” and provides the ability to center the energy peak at different parts of the sound. 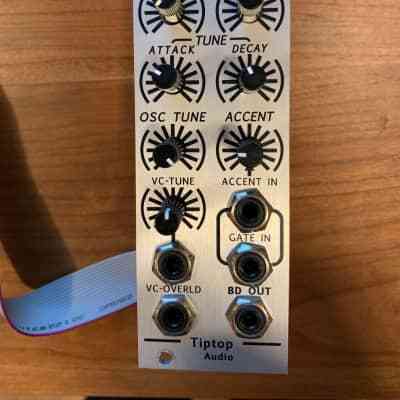 Finally, we offer additional punch and distortion by giving complete control over the internal waveshaper, which allows you to overload the waveform manually or with voltage control. Beginning with the classic and pure sound of the 909 kick, these additional functions greatly expand the BD909’s flexibility and let it create powerful analog bass drums that range from soft and smooth to punchy and aggressive – and everything in between.